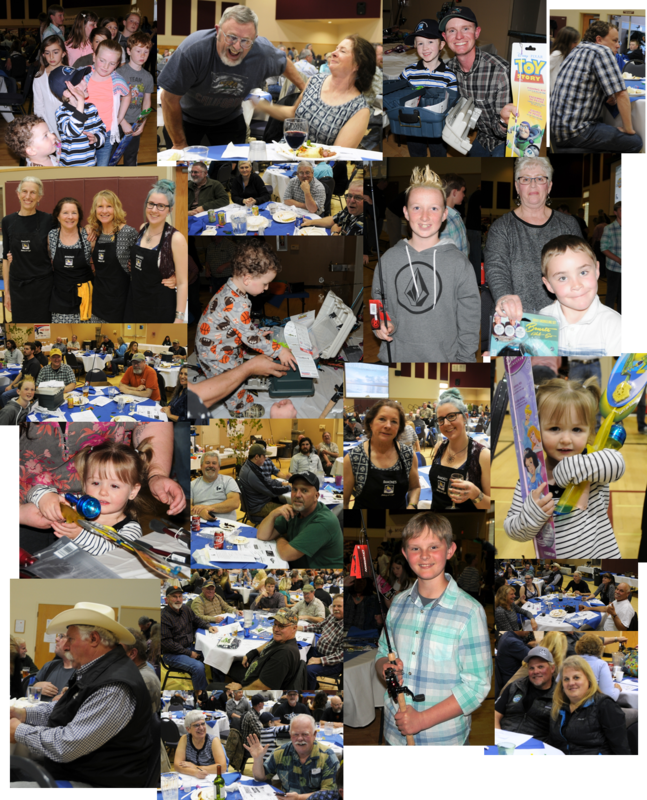 8th Annual HASA Dinner - What fun in 2017! We had another successful HASA fundraiser on April 15, 2017 at the Arcata Community Center thanks to a great fundraiser committee, awesome donators, and all you loyal supporters. HASA is your local voice for saltwater sportfishing issues and it would not be possible without all of you. The new location was great, lots of room, great sound system, great food, lots of prizes, and lots of fun was had by all. I would like to recognize our fundraiser committee and volunteers: Cliff & Leslie Hart, Ben & Sue Doane, Jimmy & Brenda Yarnall, Megan Yarnall & Will Gannett, Michael & Tami Davies-Hughes, Jim Hall, Mike Beck, Aaron Martin, Tamara Camper, Seth Naman, Dirk Pedersen, Scott & Becky McBain, Tom & Mary Marking, Kent Hulbert, Eric Stockwell, Gene Morris, Ross Taylor, Larry & Carol De Ridder, Tim & Sherry Klassen, Bob Stewart, and Casey & Marlene Allen. 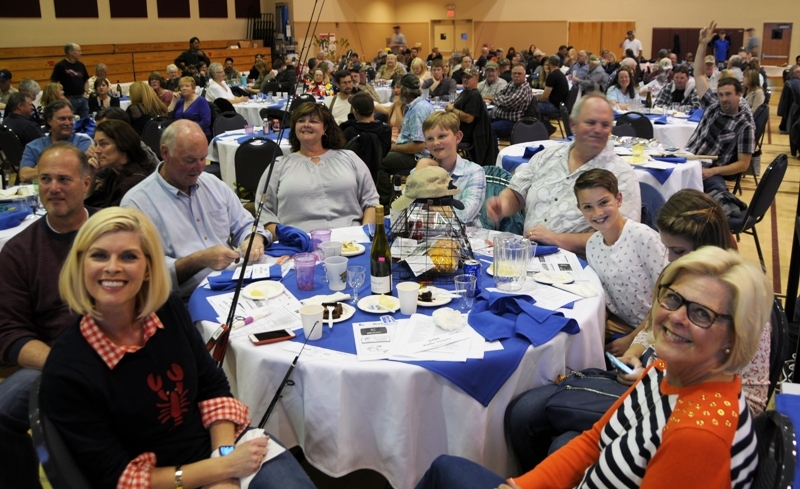 Also thanks to all who sold tickets for HASA, including our partners at Bucksport Sporting Goods Eureka, Englund Marine Eureka, Mad River Tackle Arcata, Pacific Outfitters Eureka, and W&W RV & Sporting Goods Eureka, and fundraiser committee and HASA board members. We had 269 dinner tickets turned out for the event, including 23 children. The food was provided by Ramone’s Catering and was awesome, and the linens were donated by Mission Linen. The beverages were donated by Mad River Brewery, Six Rivers Brewery, Redwood Curtain, North Coast Mercantile, Del Reka Distributing, Septentrio Winery, and John’s Fine Cigars/Myrtlewood Liquors. Our auctioneer was Fred Van Vleck who did a fabulous job for us and was a lot of fun. We raised $32,000 with an approximate net income of $20,000 that will be used for projects and representing us North Coast sportfishers during the 2017/2018 fiscal year. The live and silent auctions raised $13,000 and raffle ticket sales were $7,500. We had 10 live auction items and 50 silent auction items, including but not limited to a 7-day Maui trip from Trips for Charities, recliner from Arcata Exchange, GoPro package from Pacific Outfitters / HASA, goose hunt from Mitch Ferro/Don Banducci, drift boat fishing trip for two with Kenny Priest sponsored by Shalise Miles of Caliber Home Loans, six pack boat charter in Shelter Cove with Sea Hawk Sportfishing, 250-pounds of beef donated by Crazy River Ranch / HASA, and two rod/reel combos donated by Accurate Reels, Pacific Outfitters, and HASA. We also had the Zulu Nyala Africa trips once again that were bought for a bargain at $1,200 each by Tamara Camper-Dart and Glenn Hurlburt. These are just a small sample of all the wonderful donations from our sponsors (see list of sponsors below). The Super Raffle prize was an awesome Accurate reel/Seeker Rod combo, and the door prize was a Bradley smoker donated by Englund Marine Eureka. We had around 60 raffle items that were provided by various donors. Please remember to patronize and say thank you to those businesses and individuals who donated to our fundraiser: Crazy River Ranch, Pacific Outfitters, B2Squid, Living Styles, Englund Marine Eureka, Kokatat, Accurate Fishing, Trinidad Rancheria, Arcata Exchange, Shalise Miles / Caliber Home Loans, Rick Urban, Fish Brothers, Mid-City Motor World, West Coast Bait, Sea Hawk Sportfishing, Green Water charters, Mission Linen, Mad River Brewery, Six Rivers Brewery, Redwood Curtain, North Coast Mercantile, Del Reka Distributing, Septentrio Winery, John’s Fine Cigars, Laytonville Chevron, RipCharts, A-Z Eye Care, Aldaron Laird, Redwood Coast Spreader Bars, Tim & Sherry Klassen, McKinleyville Office Supply, Bob & Charleen Hoopes, Curtis Wilson/Wind Rose Charters, Humboldt Moving & Storage, Rob & Stephanie Freeman, HealthSport, Keenan Supply, W&W RV & Sporting Goods, Lima’s Pharmacy, O&M Industries, Michael & Jeffrey Holland DDS, Ken Cunningham, Englund Marine Crescent City, Scott & Becky McBain, Arcata Stay, Les Schwab McKinleyville, Cliff & Leslie Hart, Leon’s Car Care, T’s Cafe Arcata, Kreations Auto body, Lithia Dodge, Bucksport Sporting Goods, Ben & Sue Doane, Degrees of Green Landscaping / Mike Beck, Rick Alexander / Almquist Lumber, Bedliners Plus, Conti Auto, Ray’s Old Town Auto, Gold Rush Coffee, Harper Motors, J’s RV Center, Mitch Farro/Don Banducci, Mobile Marine, Mr. Fish, Old Town Coffee & Chocolates, Oregon Trail Foods Roseburg, OR, Titan Knife Technology, Trips for Charities, Zulu Nyala Game Preserve Africa, Steve’s Septic Service, Kent Hulbert, Phil Grunert, Redwood Coast Spreader Bar, Migration Clothing, Sustained Designs, Oregon Trail Foods, Green Diamond Resource, Red & Nancy Jioras, Papa Murphy’s Pizza, Coast Central Credit Union, Central & Mane Hair Supply, and Jason Bonhote. We received $700 in donations for the kids raffle. All 23 kids walked away with at least two items, such as a rod/reel combo, tackle box, tackle bags, snorkel sets, a Kindle Fire, among others. Special thanks to Lima’s Pharmacy, O&M Industries, Michael & Jeff Holland DDS, B2 Squid, Phil Grunert, and Pacific Outfitters for donating to the kids raffle. And thank you to Bob & Charleen Hoopes who provide a large cash donation to HASA every year to support the kids raffle. We had several vendors this year that displayed their products or services, including the Coast Guard Auxiliary, B2Squid, Redwood Coast Spreader Bars, and Migration Clothing. Thanks again for everyone who contributed to, supported, and attended our annual fundraiser. We are always looking for more volunteers to assist with pre-planning or assisting on the night of the event, so if you’re interested and/or have suggestions for improvements in next years’ event, please contact me at HASA6191@gmail.com.